The months after Christmas can be long and dreary with sunny days still a distant dream away. We start craving the bright spots of tulips and daffodils and the longer days that spring ushers in. So why keep that joy only outside your door? Why not bring a bit of color inside? Be prepared for rain OR shine by releasing your inner flower child. Here are five ways to enjoy spring while it’s still winter! Sentimentally attached to flowers from your wedding bouquet or the roses you got for Valentine’s Day? Dried or pressed flower can remind you of that special day, and it’s easy! To dry flowers, remove the extra foliage and trim the stems to your desired length, then hang them upside down until they are dry to the touch. Hang each stem individually, or band them together with ribbon or a rubber band if you want to display them as a bouquet. Keep the flowers out of direct sunlight to keep the color from fading. The simplest way to press flowers is using a heavy book with some extra sheets of paper to serve as blotters. (Moisture may cause some page wrinkles, so don’t use a favorite book.) Open the book and use the extra paper to line each side. Arrange the flowers on one side, close the book and weigh it down with extra books. After a few weeks, the flowers should be dry. Add them to a frame and place your handiwork where you’ll see it every day! Spice up those white carnations or white roses with food coloring! Fill a vase with water and add dye until you achieve your desired color. Cut a couple of inches off the flower stems at an angle. The flower petals will soak up the dye over the course of a day. When they reach the color you want, swap out the dyed water for clean water. 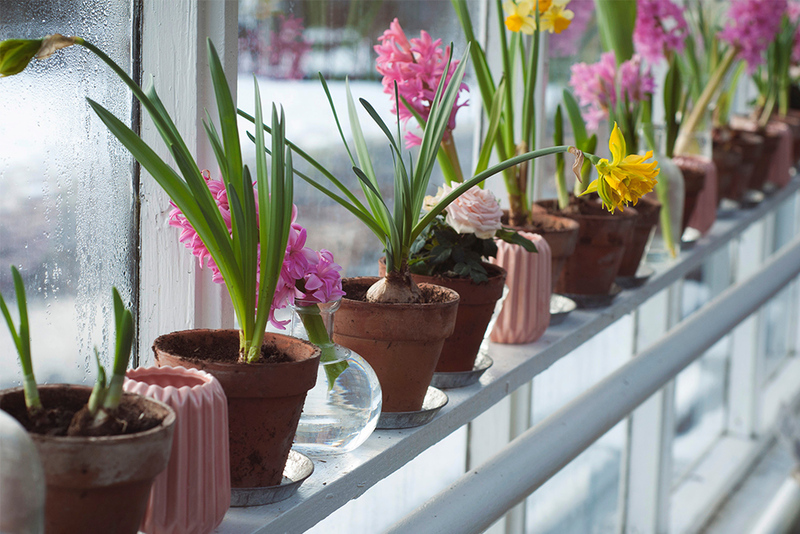 Instead of planting all your favorite bulbs outside, reserve some to use inside! It’s known as forcing bulbs, and although it takes some planning, it’s a great way to enjoy flowers before Mother Nature decides you should. The idea is to plant in October, so flowers will bloom in late winter or early spring. Place the bulbs close together in some indoor pots, cover them with soil keeping the pointed side up, and keep them in the garage or other cool, dark place until sometime after Christmas. Once you bring them inside, they’ll flower within 3-4 weeks. Visit your local nursery for more details! Scentsy florals are a great way to bring spring indoors. 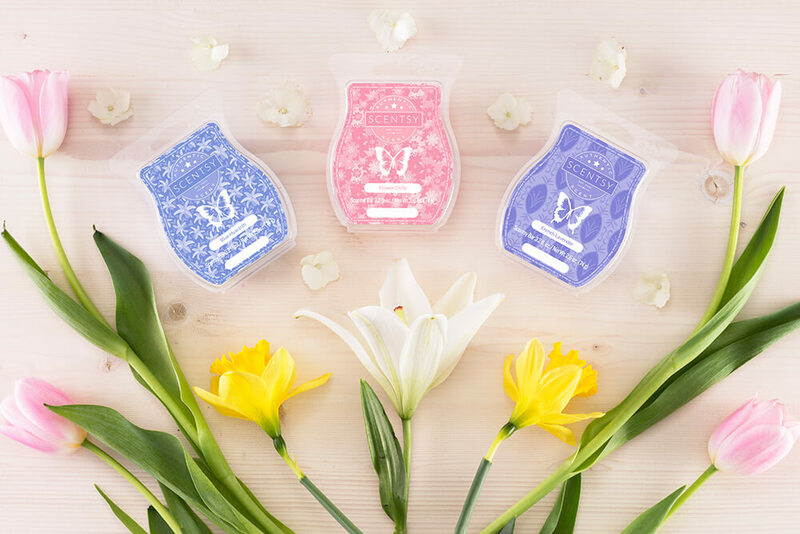 Lilacs & Violets is the smell of spring, and Lush Gardenia with a whisper of tuberose is perfect for setting a summer mood. Place a couple of cubes in a Scentsy Warmer and let the smell of fresh flowers fill the air. Scentsy fragrances are available through a Consultant. If you need a Scentsy Consultant, you can find one here! 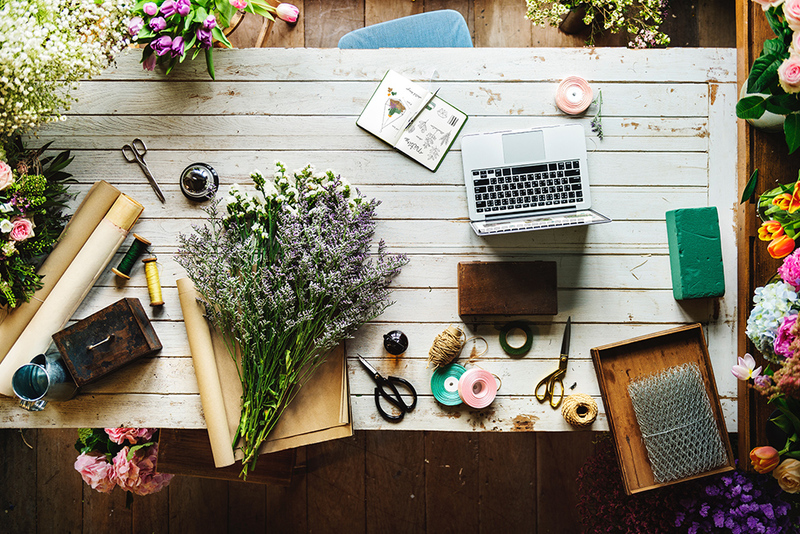 Design your own flower crown with a bit of floral wire and tape, along with some real or faux flowers and greenery for filler. Form the wire into a round shape to fit your noggin, and secure it using floral tape. Attach greenery to the wire using the floral tape to create a base for your crown. Weave flowers through the greenery and secure everything with extra floral tape. 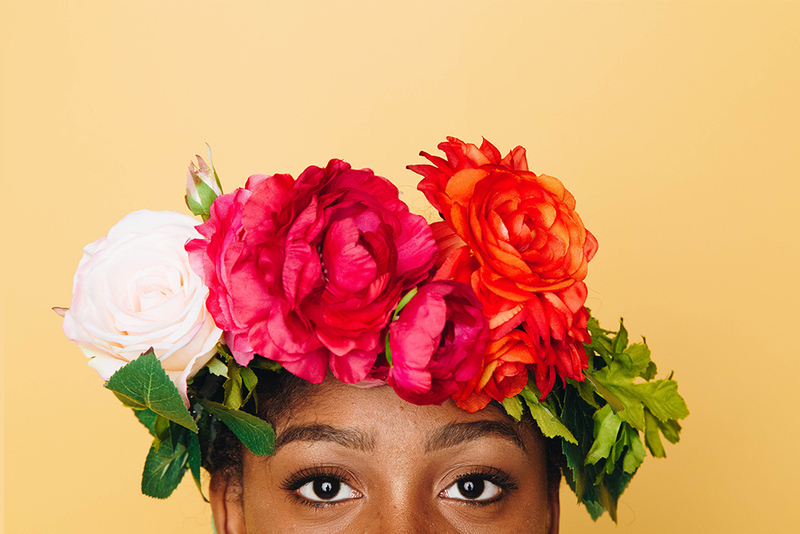 Add some pretty ribbons if you want, then wear your crown like the spring queen you are! 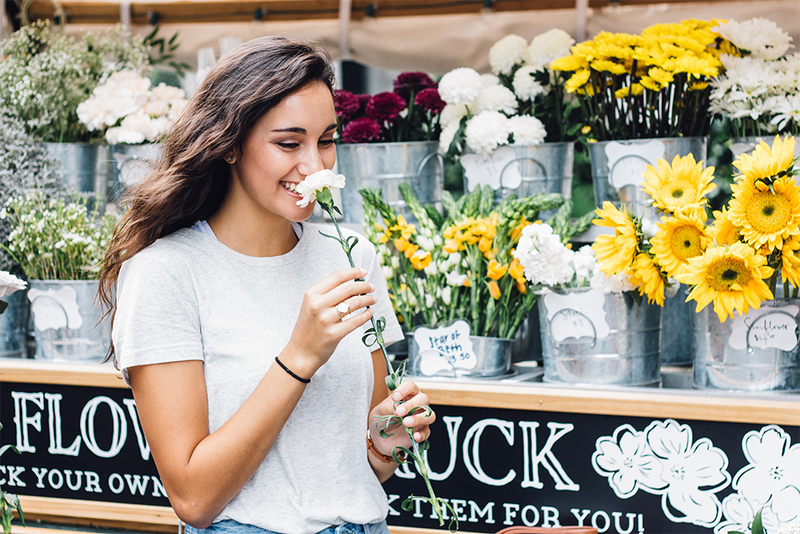 How will you free your inner flower child this spring? Separator image Posted in DIY, Fragrance 101, Uncategorized.